The Mid Levels in Hong Kong are the popular residential areas upon the slopes of Victoria Peak (or Tai Ping Shan) and "The Peak" on the north of Hong Kong Island. The Mid Levels has a long history of expatriates living on these hill sides from early British colonists escaping from the tropical heat on the lowlands to the modern-day expatriate families and professionals attracted here by the exclusiveness, convenience to Central and the established compatriot communities. The expansive area consists of 3 connecting areas Mid Levels West, Central and East. Although all of the areas can be referred to as the Mid Levels each area has its own characteristics in terms of the sparseness, population density, greenery, transportation system, types of accommodation and views. But one thing remains the same with the three areas and even throughout history, is that the higher up the residence the more exclusive, which generally means the higher up, the larger and more expensive the property. Most expatriates and locals will be more familiar with the popular Mid Levels Central which has the world's longest outdoor covered escalator that conveniently connects to the Central Business District below. This well-known area can be roughly considered as the areas above Caine Road and up to May Road on Victoria Peak. This Central region is the most expensive area of the three, based on price per square foot, and is also the most densely populated. With the close proximity of Central and the dining or nightlife options provided by Soho and Lan Kwai Fong just south, the area is the number one location for most expatriates to reside. Notable roads in the areas sorted by elevation and exclusivity consists of Caine road and Robinson Road, these two roads are where most of the daily amenities can be found and are the main arterial roads through the area, then comes, Conduit Road, Kennedy Road, MacDonnell Road, Bowen Road, Old Peak Road, May Road, and finally Magazine Gap Road. The apartments in this area consists of densely built high rises making most of the prime land and the views which the hills provide, the apartments found here are generally much smaller than the Western and Eastern areas of the Mid Levels. Mid Levels Central as its more densely populated has the most amenities and is the most busy area of the three with the most vehicular and foot traffic at the expense of greenery and sparseness. With these factors the area is very popular with the younger expatriates and small families, who place convenience at the top of their lists. The area Mid Levels East can be defined as the hillside above Happy Valley and Wan Chai, and covers the largest area of the three. Mid Levels East is in direct contrast to Mid Levels Central, the area has limited amenities in the immediate area, the least densely populated and has the larger and well spread out developments. The main roads in the area include Stubbs Road, Bowen Road and Kennedy Road, on these roads the more popular apartment developments can be found including Monte Rosa, Evergreen Villa, and the newer Highcliff and the Summit developments. Most of the apartments here are Mid and High rises, and in general the apartments in the area are older but larger than those of the Central and West. The area is the least accessible than the others, although there are buses and mini buses the most ideal mode of transport is by private car. Despite this the area is popular for many expatriate families attracted by the larger apartments, the proximity to good schools and the vast greenery it provides. Mid Levels West has the characteristics of both Mid Levels Central and East, the area has a main arterial road Bonham and Robinson Road with many amenities and transport, but further up, the area is less busy, more sparse, and provides many spacious apartments and greenery. The area has a good mix of the older Mid rises that commonly have a large balcony to the more modern High rises with a large range of facilities. Notable roads in the area from lower to higher up include, Bonham Road, Park Road, Lyttleton Road, Robinson Road, Kotewell Road, Conduit Road and Po Shan Road. The Mid Levels West area in recent times has seen a lot of new redevelopments with the anticipated arrival of the new Sai Ying Pun MTR station that has an entrance on Bonham Road. 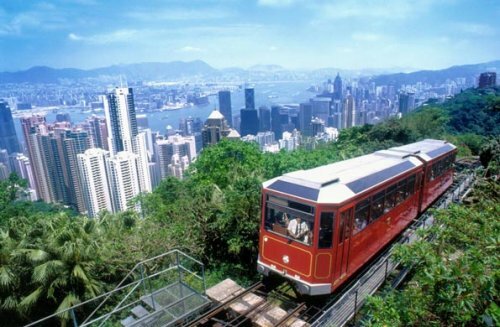 The arrival of the Sai Ying Pun MTR due in 2014 will cement the popularity of the Area with expatriates and locals alike, bringing fantastic accessibility to a residential area that provides some of the best views and living conditions in Hong Kong. For more information on Mid Levels Apartments Hong Kong, contact Home Net Property Services, Hong Kong Property agency specialists Mid Levels Apartments for Rent and sale.